OK, the official start of a new project. 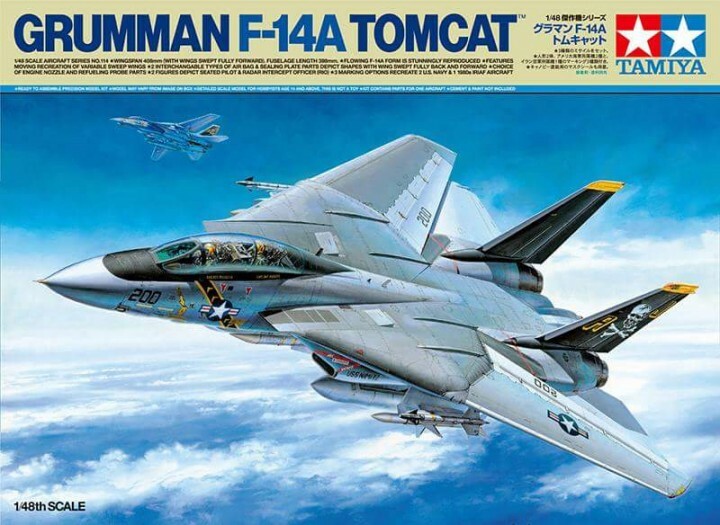 Building Tamiya's Grumman F-14A Tomcat in scale 1/48. This one is going to be fun. And slow. My goal is to finish this by January 2020. I've bought a load of after market parts to improve what I've understood to be an already good kit. I started off with Eduard's Big-Sin containing their detailed resin cockpit (648312 F-14A cockpit), their resin early wheels set (648304 F-14A wheels early) and their resin engine exhausts (648311 F-14A exhaust nozzles). Topping that up with KA Models open exhaust nozzels (MA-48019 F-14A P&W Exhaust Nozzle Set) and Wheeliant's weighted wheels (148014 F-14A Tomcat weighted wheels) for good measure. I then added Eduard's exterior detailing set (48909 F-14A exterior) and their 'remove before flight' tags (49693 F-14 Remove Before Flight SUPERFABRIC). After that, well I had to add Quickboost's position lights (QB 48 776 F-14A Tomcat Position Lights). Finishing with Flying Leathernecks canopy and wheel paint mask (FLM48-13 Grumman F-14A Tomcat Canopy and Wheel Mask Set). 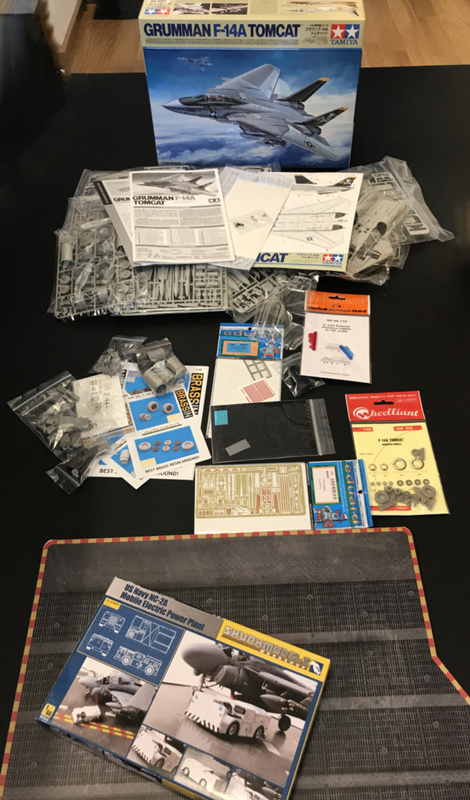 Now spending a lot on this I could not rest well without a diorama base so I got Coastal Kit's deck lift (CKS111-48 1:48 Scale USS Enterprise Deck Lift Display Base) and a nice little truck from Skunkworks (48021 US Navy NC-2A Mobile Electric Power Plant). The only thing missing now is some figures to flesh out the scene.